The big vote of opposition shows that many investors aren't happy with the electric-car company's governance structure. A large minority of Tesla Inc. (TSLA) investors urged the electric-car maker to have annual elections for its directors, a major rebuke to the company's CEO, Elon Musk, according to a securities filing on Thursday. At issue is an activist shareholder proposal submitted for consideration by a group of Connecticut pension funds that would require Tesla's entire board to come up for election every year, as opposed to staggered three-year terms. According to a securities filing, roughly 30% of the for and against vote backed the shareholder proposal, which was submitted by the Connecticut Retirement Plans & Trust Funds. However, the actual vote was much higher. According to Connecticut State Treasurer Denise Nappier, about 47% of the votes not controlled by directors and officers backed the measure. Musk himself owns a 22% stake. "Independent shareholders gave Tesla a clear message: it's time to sharpen the company's governance profile and strengthen board member accountability to shareholders, whose interests they are elected to represent," she said. Two major shareholder advisory firms, Institutional Shareholder Services Inc. and Glass, Lewis & Co., recommended that investors back the Connecticut investor effort. The shareholder proposal is non-binding, which means Tesla is under no obligation to change its governance structure in response to any investor opposition. Nevertheless, the large vote of opposition shows that many investors aren't happy with the company's governance structure. Activist investors and governance experts prefer annual director elections, in part because they contend that board members should be accountable to investors on an annual basis. Also, shareholders criticized Tesla's board, arguing that a large minority of the electric-car maker's board have personal or professional connections to Musk. 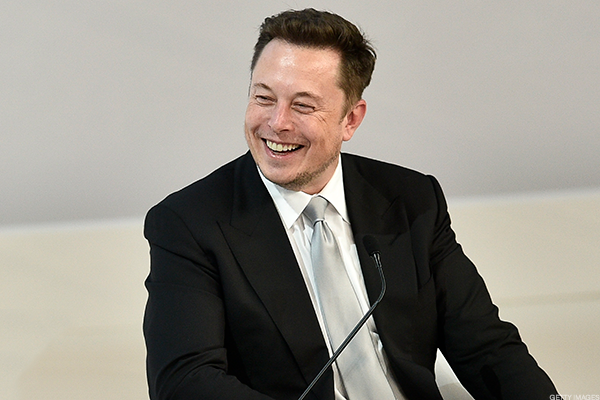 An overly cozy board may not provide adequate oversight over Musk in the years to come. Institutional investors who have raised concerns in the past including the California State Teachers' Retirement System, CtW Investment Group, and Hermes Equity Ownership Services. Nevertheless, Tesla opposed the declassification proposal arguing that staggered three-year terms help the company execute its mission, which is to "accelerate the world's transition to sustainable energy." The company said in its defense that staggered elections help with the long-term strategic planning the board needs. "By providing directors with staggered three-year terms, our current board structure allows our directors to maximize the interests of the company and our stockholders over the long-term, without being distracted by special interests that seek only short-term returns," Tesla said. However, a large number of corporations, particularly larger ones, are destaggering their director elections in response to institutional investor demands. Research produced by the Council of Institutional Investors shows that only 24% of Russell 1000 companies, those businesses with larger market capitalizations, have classified boards. Tesla's stock fell 3.4% to $357.45 at Friday's close.